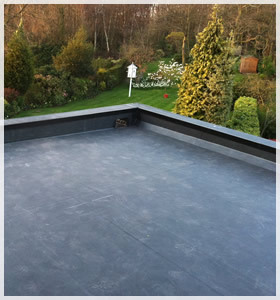 At Masterfit Roofing, we provide Firestone EPDM Rubber Cover Systems to any size of flat roof. No chippings are needed, therefore no blocked rainwater pipes and limited build up of moss. It has been proven to last in excess of 50 years and carries a 20 year manufacturer’s warranty. What’s more, the Firestone Rubber Cover is an environmentally friendly product. To find out more about Firestone product we use, please visit their website. We use high quality roofline building products that carry a 10 year colour fastness guarantee and we can supply uPVC gutters in various colours and shapes. From flat roofs and roof lines to roof repairs and canopy building, we have the ability and knowledge to provide you with a high quality and friendly service. Masterfit Roofing is the ultimate solution to all of your roofing needs. 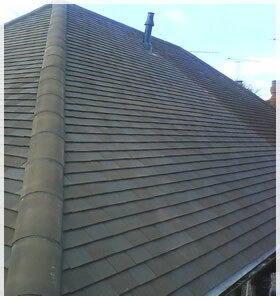 From flat roofs and roof lines to roof repairs and canopy building, we have the ability and knowledge to provide you with a high quality and friendly service.